We've been hearing rumblings about an Android Wear update coming out in the next few weeks, and now Phandroid has some info on what might be included. The next update will have two main feature additions—a watch-to-watch communication system and interactive watch faces. Regarding the interactive watch faces, you might be confused as some watch faces are already interactive (i.e. you tap and they do stuff). For example, you can tap some faces to pull up additional information like calendar events. This is actually a workaround that hides the native functionality, which is to launch voice search when tapped. In the next version of Wear, watch faces will support the single-tap as a configurable element. It could be used to change visual styles, launch activities, or toggle information displays (examples throughout the post). So what does that mean for the existing tap to launch search? It's probably going away. The Android 5.1 update for Wear already added the swipe left to open the launcher, which also provides access to search a few more screens away. Of course, voice will be the easiest way to get this done on Android Wear, considering you'll still have to talk to the watch when you get there. 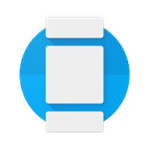 Developers are apparently working with Google to get interactive features ready to go, and Google will promote these watch faces on a new Play Store page when the update rolls out. The other feature is basically taking a page from the Apple Watch playbook. The watch-to-watch communication system will be called Together and will support sending messages, stickers, emojis, and doodles from one watch to another. It's unclear how, if at all, this will tie into Hangouts. It also might be restricted to a single watch face at first, which would be exceedingly weird. And one final parting rumor is just for LG G Watch R owners—the next update will reportedly bring WiFi support to this watch after it was left out in the previous round of updates. So when is the update happening? According to Phandroid, it was originally scheduled for late this month, but now it's looking more like an August release.